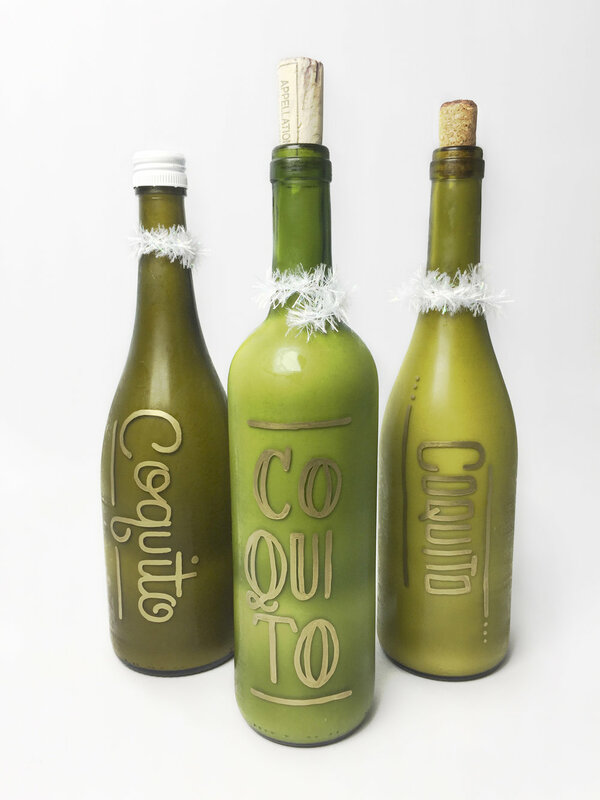 As a tradition during Christmas time, Puerto Ricans make a drink similar to eggnog called Coquito—each with their own variation in recipe. I made my family's famous recipe and lettered the bottles with the name of the drink. Then handed them out to co-workers right before Thanksgiving. The drink and the bottles were a hit.